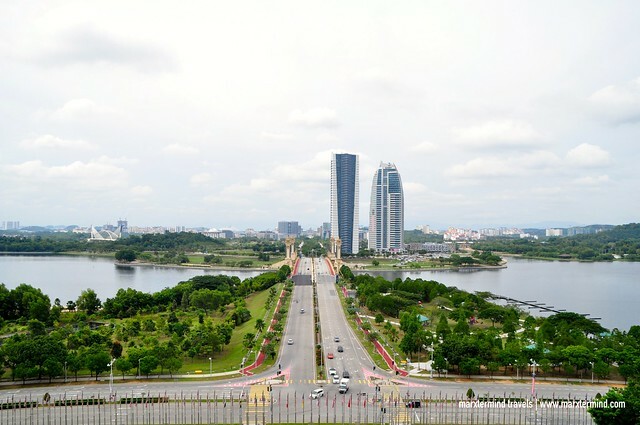 Putrajaya is one of the places in Malaysia that I’ve been planning to visit every time I go to the country. But it was just recently that I was able to visit the city when my friend and I traveled to Sri Lanka and made a layover in Kuala Lumpur. Since we had enough time to get out of the airport and get around a bit, I asked my friend if we could do Putrajaya sightseeing tour. Because she can’t say no with me, we proceeded with my plan and went to Putrajaya. I learned about RM1 tour in Putrajaya through some travel blogs but I couldn’t find any updated information about that. So instead of chasing for that tour, my friend and I decided to do the tour by taxi. We hired a regular taxi from Putrajaya & Cyberjaya Station. The rate is fixed for two hours, which is RM 75 (~USD17). If you’re a group of 3 or 4, the rate is actually pretty good already. 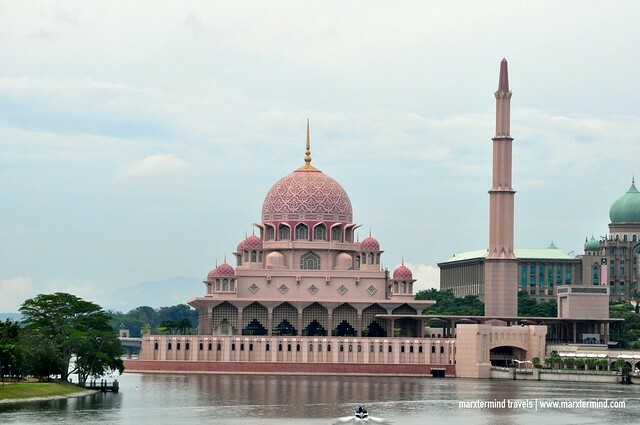 Putrajaya Sightseeing Tour goes to a number of wonderful sights within the federal city. It includes several main sights, beautiful gardens, historic monuments and colossal buildings. In two hours, here are the places that we visited. 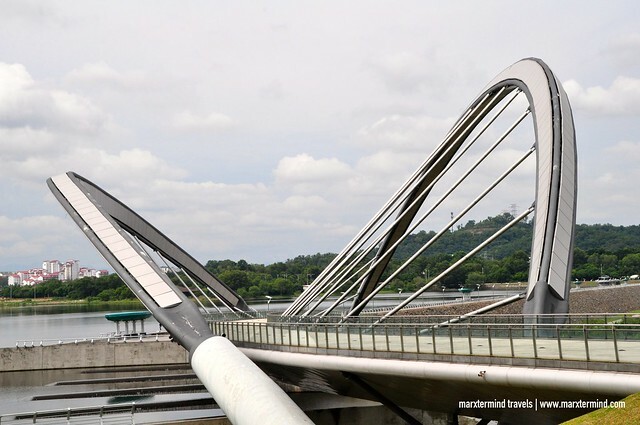 There are actually several bridges in the city, but the most popular and iconic is the Seri Wawasan Bridge. The bridge has a sailing ship appearance and has a great view of the lake and mosques. At night, it accented with changeable color lighting. This mosque looks pretty in pink. The Putra Mosque is the principal mosque of Putrajaya. 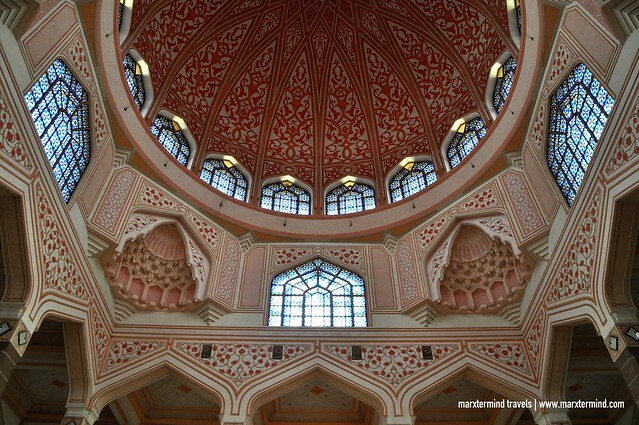 This pink-domed mosque is constructed with rose-tinted granite. It consists of three main functional areas – the prayer hall, the Sahn, or courtyard, and various learning facilities and function rooms. Just nearby the Putra Mosque, we also dropped by Perdana Putra, which is also known as Perdana Square. 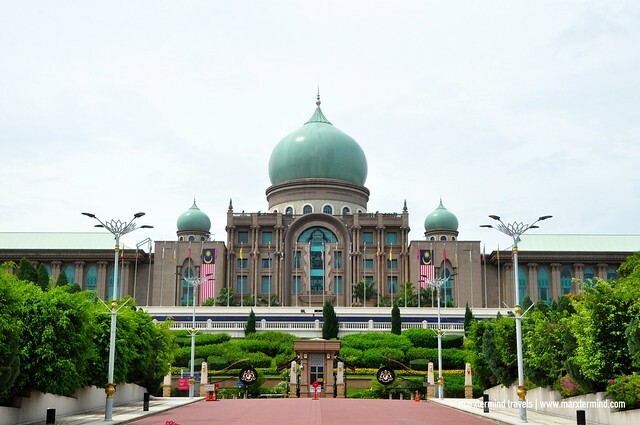 This building houses the office complex of the Prime Minister of Malaysia. 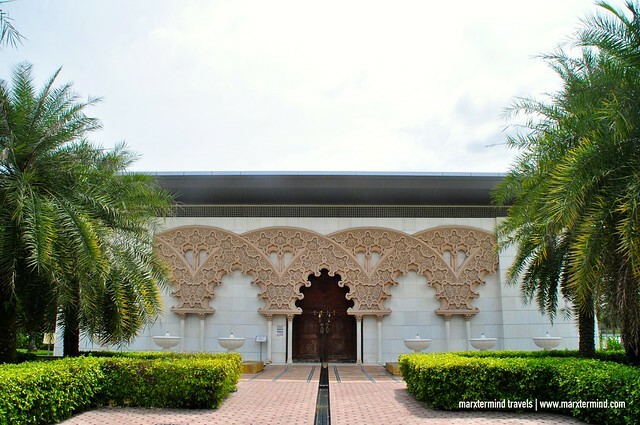 It has a very impressive structural design influenced by Malay, Islāmic and European cultures. A nice garden in the city divided into 5 different themes such as Explorer’s Trail, Palm Hill, Floral Gardens, Sun Garden and the Lakeside. The garden has a photogenic landscape and relaxing surrounding but the one that captivated us was the Moroccan Pavilion. 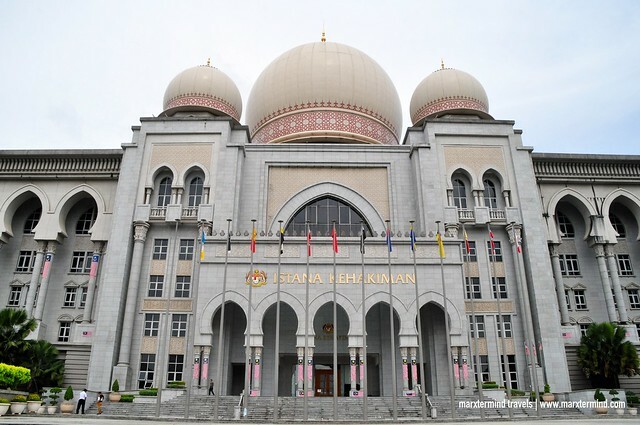 Also known as the Palace of Justice, this office houses the Malaysian Court of Appeal and Federal Court. Its structural design incorporates influences of Classical Islāmic culture, Moorish culture and Western Classical influence. 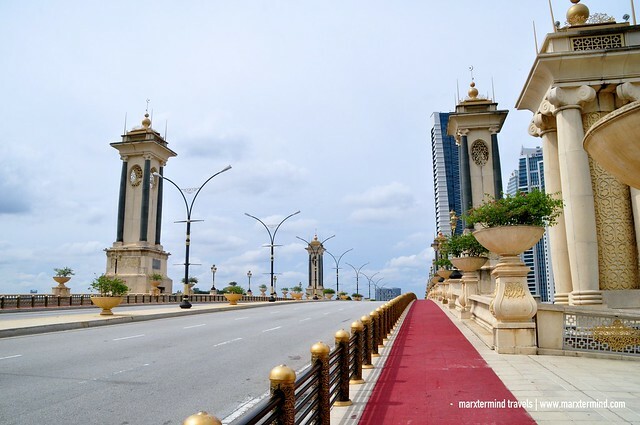 Seri Gemilang Bridge is a ceremonial bridge that connects Heritage Square with Putrajaya Convention Centre. The bridge has a beautiful detail. 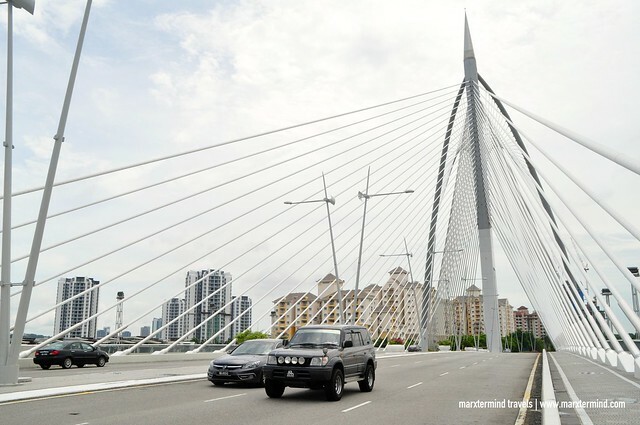 It’s one the biggest bridges in Putrajaya. It’s an arch bridge used for bicycle and pedestrian. Nearby the bridge is a complex for lakeside dining. 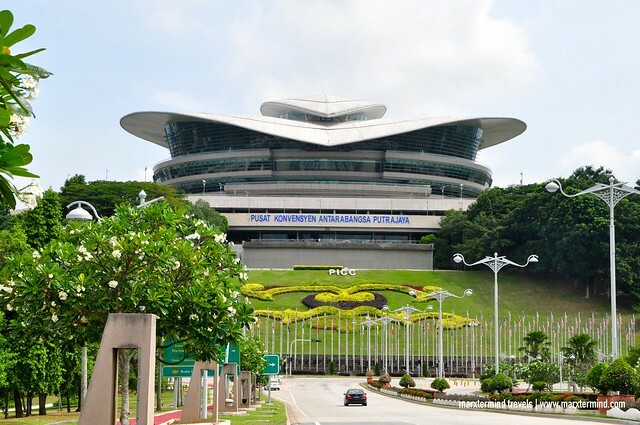 The Putrajaya International Convention Centre is the main convention centre in Putrajaya, Malaysia. 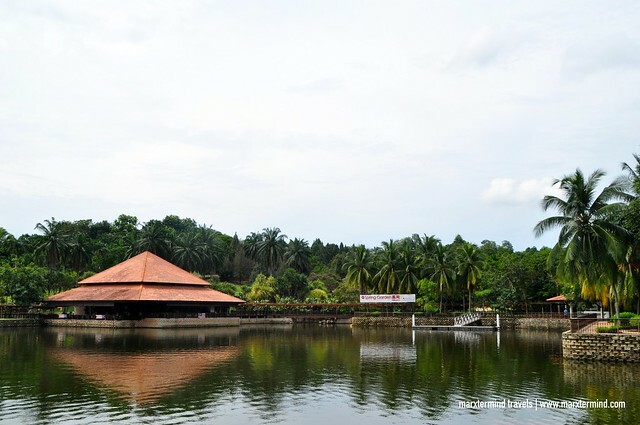 It’s a venue for any events in Putrajaya. It has exhibition halls, conference halls, wedding halls and meeting rooms. We finished the tour just in time. But since we still have a couple of hours to spend before our flight, we asked our taxi driver to drop us off to nearby shopping malls. I was glad that finally, I got to tick off Putrajaya on my list of places to visit in Malaysia. We were able to get around and see interesting landmarks and structures. I plan to go putrajaya next month and also plan to hired a taxi to go around putrajaya,do you know how much the rated now?